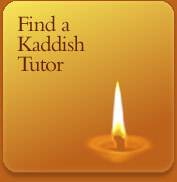 MyKaddish is a not-for-profit information website and resource provider offering support to Jewish adults during their ultimate time of need. 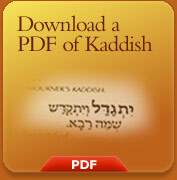 Launched as a collaborative effort between two prominent Jewish organizations, the Afikim Foundation and Partners in Torah, MyKaddish is committed to helping Jews navigate the intricate process of mourning and acquire a deeper understanding of the numerous customs and laws associated with death and mourning. If you have a specific question you'd like answered by a Rabbi click here.